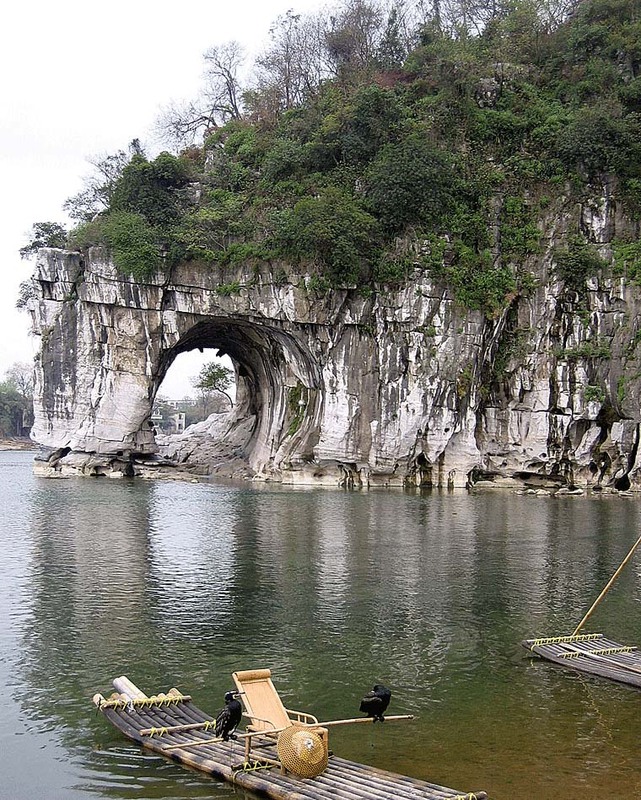 Elephant Trunk Hill is located on the western bank of the scenic Li River in Guilin . The shape of the hill is just like a huge elephant drinking water from the river with its trunk, so it is called Elephant Trunk Hill. Shui Yue Cave (Water Moon Cave) is between the trunk and the legs, which is a semi-round cave penetrated by water. The inverted reflection of the cave in water plus the part above forms a full moon. This phenomenon is unique and many laudatory inscriptions were found on the wall inside the cave. Visitors can boat through the cave to the river.